Country Inn apartment at La Fornella in Tuscany. Claim: Dishwashing machines save time Answer: Yes, but it dependsMany people who have a dishwashing machine often wonder how they ever lived without one. For some, they are the saving grace of more than just dirty dishes. “Toss it all in the dishwasher,” says US user dahupaylo, “including the pet bowls, keys, baseball hats, toys, plastic take-out containers, empty peanut butter jar, pot scrubber – and come back in an hour when it’s all shiny and clean.” But many people who’ve never owned a dishwasher and then suddenly get one are often surprised to learn there’s quite a bit of work that goes into using the machine. You may still need to scrape or rinse dirty plates, and you need to load the machine the correct way, wait for the cycle to complete and unload the dishes. This all takes time, but not as much as washing by hand.The Bonn University study found that homeowners who hand-washed dishes took 60 minutes, while those using a dishwasher took 9 minutes to load and unload their machine. Normal cycle times for dishwashers take two to three hours, according to American product testing and rating organisation Consumer Reports. That’s time that could be used for all sorts of things that don’t involve standing at a sink.“When you have a busy family life at home, anything that can cut down on domestic chores has my vote,” says Houzz Australia staffer Susan Redman.But not everyone feels a dishwasher saves time. “Washing the dishes is not my favourite job, but I much prefer the end result of hand-washing,” says Houzz Australia user Janine Ferris. “No more scratched, smeary glasses. Also packing and unpacking plus drying all the plastic that never dries properly takes almost as long as a hand-wash.”While unloading and loading a dishwasher takes time, a Houzz US poll showed that 67 per cent of respondents say they prefer to load the dishwasher rather than unload it. One reason is that many people have a certain way of doing things and don’t feel confident their partner can do it the right way. “No one else loads it properly, so I have to or I have to rearrange it anyway,” says Houzz US user Whitney Wadsworth. “It’s an illness, what can I say? I really dislike unloading. No clue why.”Of course, when you hand-wash dishes, you also have to either load dishes onto a rack or dry them and put them away, all of which takes time. In the US, 72 per cent of people who voted in a poll on the topic say they prefer to use a drying rack to towel-drying when hand-washing dishes. Things are similar in Australia and Italy. 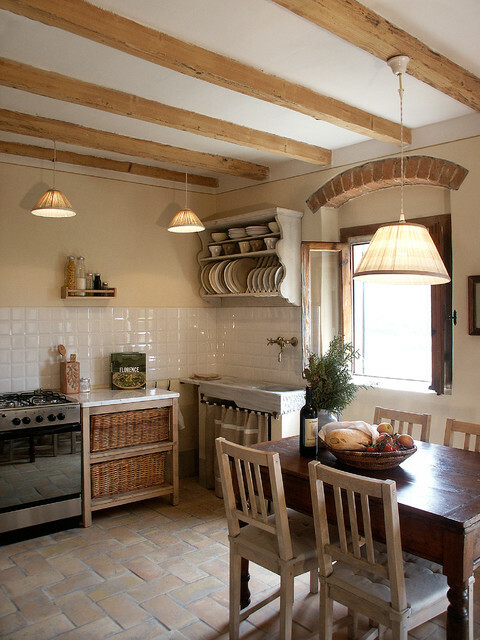 But racks in Italy aren’t like the sink-side versions familiar in the US and UK Many Italians, as well as French and Russians, use above-sink cabinets, like the Italian version shown here, that allow dishes to drain and dry before they’re transferred to cabinets.